The Langley Aerospace Research Summer Scholars (LARSS) Program is one of NASA’s most successful student programs, for 25 years providing mentored, paid, research internships to undergraduate and graduate students in the fields of Science, Technoloy, Engineering, and Mathematics (STEM) as well as in Business, Communication, Marketing, and other areas that support NASA’s mission. LARSS was recently recognized by Vault Career Intelligence as among the top ten best college internship programs in the United States in 2011. NASA Langley Research Center (LaRC), founded in 1917, is the nation’s first civilian aeronautical research facility and NASA’s original field center. NASA Langley’s Mission is to pioneer the future in space exploration, scientific discovery, and aeronautics through research and development of technology, scientific instruments, and exploration systems. 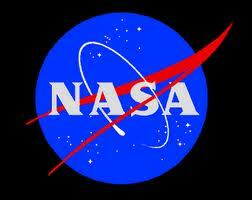 LaRC is also designated as the NASA Center of Excellence for Structures and Materials. NASA LaRC invites rising undergraduate juniors and seniors, and graduate students who are pursuing degrees in Science, Technology, Engineering (most fields, particularly aeronautical, electrical, chemical, and mechanical), Mathematics, materials science, atmospheric science and other aerospace-related fields, as well as other majors that lend support to NASA’s mission in special project areas such as accounting, business, public administration, English, journalism, history, photography and media arts to apply for the LARSS program. Females and students from underrepresented groups are encouraged to apply. The Langley Aerospace Research Summer Scholars (LARSS) Program is managed for NASA by the Virginia Space Grant Consortium (VGSC) under the auspices of the National Institute of Aerospace (NIA). This Center-unique program is intended to feed both NASA’s and the Nation’s workforce pipeline with students skilled in scientists and engineers, encourage high-caliber college students to both pursue and earn graduate degrees, and to enhance their interest in aerospace research by exposing them to the professional research resources and state-of-the-art facilities of LaRC. In addition, students will attend technical lectures and guided tours, network with peers and NASA employees, complete a technical report and participate in a poster session to present the results of their research activities. The LARSS Program hosts more than 170 students each year through its spring, summer, and fall internships. Note that the summer is a 10-week session, while the spring and fall are 15-week sessions. Stipend amounts are based on the 10-week summer session period of research. The 15-week spring and fall sessions are adjusted accordingly. Bridge Student Stipends: Please see LARSS Bridge Program section below. Examples of Previous NASA program experience include programs such as the NASA SHARP Program, CHROME Club, NASA Governor’s School, INSPIRE, VASTS, documented time working on a NASA related project with a college professor, and the Volunteer Services Program. Students must have participated in these programs a minimum of 40 hours. A LARSS “Bridge Program” option offers opportunities for select outstanding rising high-school seniors, college freshmen and sophomores who have previous NASA program experience and a 3.5 GPA to be considered for an internship at a reduced rate of pay. Previous NASA program experience includes programs such as the NASA SHARP Program, CHROME, NASA Governor’s School, INSPIRE, VASTS, documented time working on a NASA related project with a college professor, and the Volunteer Services Program. 2011 Fall session – July 29, 2011 – For 2011 Fall Session Only, please call if you have a problem meeting the deadline. Note: Application must be submitted by 12 Midnight on deadline date indicated.